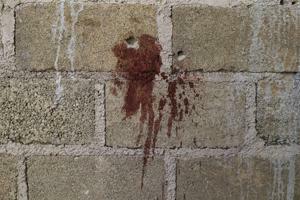 SAN PEDRO LIMON, Mexico (AP) — Bullet marks and blood spatters on the walls inside a grain storage warehouse deep in the mountains of southern Mexico tell a grim story of death involving soldiers and alleged criminals. It may not be the same story officials tell, however. Mexico’s Defense Department says soldiers were patrolling in one of the most violent, lawless corners of the country on June 30 when they came under fire from a warehouse where a gang of 21 men and one woman were hiding. One soldier was wounded, but all of the suspects were killed. The shootout was the most dramatic in a string of battles in which the army says criminals fired first at soldiers who then killed them all, while suffering few or no losses. There have been so many such incidents that human rights groups and analysts have begun to doubt the military’s version. “It raises suspicion, the simple fact that there were 22 dead on one side and one wounded on the other side,” said security analyst Alejandro Hope, a former official in Mexico’s domestic intelligence service. In San Pedro Limon, pools of blood and bullet marks observed by Associated Press journalists three days after the shooting raise questions about whether all the suspects died in the gunbattle, or after it was over. The warehouse where many bodies were found showed little evidence of sustained fighting. One witness who lives near the warehouse said he heard almost two hours of automatic gunfire and loud bangs during the pre-dawn hours of June 30. But he couldn’t say if it came from the warehouse or from the forested hillsides around it. The man, who did not want to be identified for fear of reprisals, said he saw soldiers searching the hillsides after the shooting stopped. Despite that heavy gunfire, only about six incoming rounds appeared to have hit the facade of the warehouse, the only part of the building with a window or door where soldiers likely would have been firing at people holed up inside. There also were also no signs of continuous shooting inside the building, few bullet marks and no casings. But there was ample evidence of death. The floor was stained with pools of drying blood and scattered with pieces of numbered paper left by investigators to mark where cadavers were found. At least five spots along the warehouse’s inside walls showed the same pattern: One or two closely placed bullet pocks, surrounded by a mass of spattered blood, giving the appearance that some of those killed were standing against the wall and were hit by one or two shots at about chest level. The distance at which the fatal shots were fired has not made public by the Mexico State prosecutor’s office, which is carrying out the autopsies. A state official said the office could not release the cause of death because it is a federal case, but a federal official denied that. Both officials spoke on condition of anonymity because they were not authorized to speak on the record. The Mexican Defense Department did not respond to requests for comment. Two observers of the United Nations’ High Commission on Human Rights, who inspected the warehouse just moments before state authorities closed it off with police “no entry” tape, noted that they found no signs of stray bullets of the type that would be left by soldiers shooting automatic weapons from a distance. Nor did they see signs of outgoing fire from within the warehouse. “I also find that remarkable,” said U.N. observer Tom Haeck, adding that no conclusions had yet been drawn, and that any report would be for U.N. internal use. Scattered around the earthen floor of the warehouse were notebook paper investigators left to mark where the bodies had been found; most were close to the walls. There were also toothbrushes, medications and empty food containers, suggesting people had camped out there. Employees of the Mexico State medical examiners’ office, speaking on condition of anonymity because they were not authorized to talk to the press, said the dead were mostly youths between the ages of 16 and 24, and were from neighboring Guerrero state. It’s home to a drug gang known as Guerreros Unidos, which reportedly is battling the Michoacan-state-based La Familia cartel for control of drug routes in the area. Officials have declined to say which gang might have been involved with the warehouse. The Mexican army’s rules of engagement allow soldiers to fire on armed civilians only if the civilians fire first. In some cases there is evidence that heavily armed drug gangs have attacked the military. A convoy of troops and police came under fire on May 16 in Michoacan state; four soldiers were killed and several wounded. The military said two soldiers died in another Michoacan ambush in January. Five soldiers died in a 2007 ambush in the same state. But far more common of late are cases in which soldiers say they came under fire and only the attackers were killed. The army reported a May 8 clash in Zacatecas state in which troops killed seven armed men without taking casualties. In four cases in the span of a week in late April, officials said federal forces killed 12 men who attacked them, but suffered no casualties themselves. The army said troops killed 11 other alleged hit men who fired on them in the northern border state of Tamaulipas in 2010. It is hard to get residents here to speak on the record about the warehouse, because they say they fear the army or drug gangs who carry out kidnappings, extortion and murder and move openly in the area. Days after the shooting, AP reporters in San Pedro Limon saw two youths dressed in jeans, T-shirts and black ammo belts, with AK-47 rifles at the ready standing guard beside a white SUV with tinted windows, and two more armed men inside, on the main street of San Pedro, just a few hundred yards from where state prosecutors were taping off the warehouse. After the men drove away, townspeople who had been standing just a few feet away claimed not to even have seen the armed men. Asked if the road ahead was safe, one truck-taxi driver who lives in the nearby town of Amatepec, noted that travelers were likely to be stopped by armed men on the road. “They’ll ask where you’re from and what you’re doing here. Tell them you’re visiting relatives,” said the man, helpfully supplying the name of a relative to back up the story.